The phone is ringing as I walk through the door of the Fort Point Cabinetmakers studio on a recent weekday morning. Co-op member Alex Krutsky is closest to the portable handset, so he fields the call. At the other end of the line: a homeowner in search of a fine furniture maker who can create built-ins for a recently renovated kitchen. Krutsky gathers a few additional details from the caller, along with his contact information, then hangs up and walks over to discuss the inquiry with fellow co-op member Richard Oedel. Both specialize in creating one-of-a-kind pieces and quickly agree that the job is not a good fit for either of them. They discuss which group members might be interested in the commission, decide where to send the lead and then get back to work. Such is the beauty of having eight extraordinary furniture makers under one roof – there’s likely an artist working in whatever style fancied with the technical acumen to create an exquisite piece. 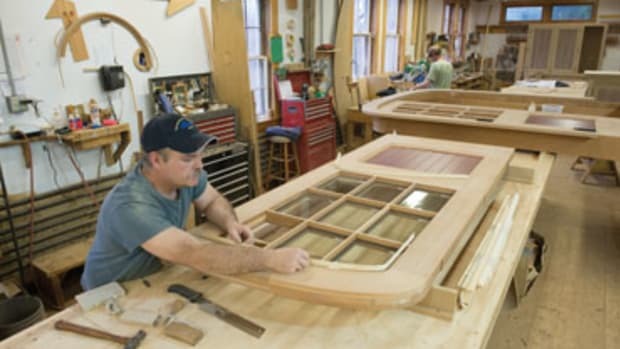 A staple in the Boston woodworking community, Fort Point Cabinetmakers first came into being more than three decades ago. 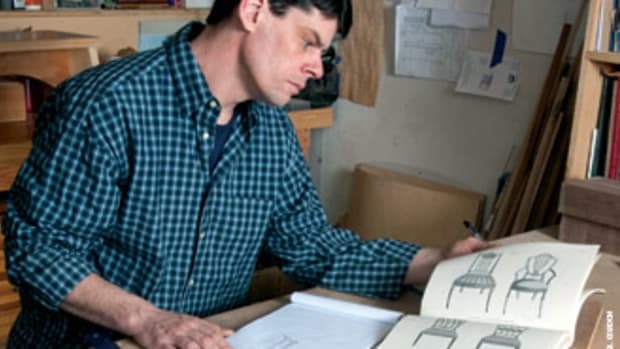 The cooperative’s initial public face was as Kirkwood Artisans in Wood, a group that coalesced in 1979, the vision of five young graduates from the cabinet- and furniture-making program of Boston’s famed North Bennet Street School. The men (including Lance Patterson, who remains a member of the group to this day) pooled their resources to rent space at 355 Congress St., in the heart of the city’s waterfront district. 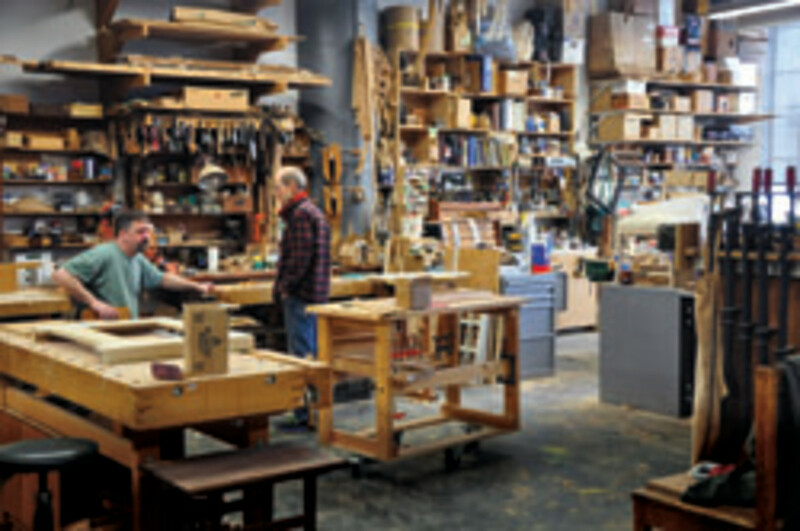 When founding member Rick Loske departed in 1980, the group renamed itself Fort Point Cabinetmakers (a nod to the neighborhood that housed their studio) and continued on its way. In 1983, the members seized an opportunity to move to a larger environment – with amenities like sealed windows, steady heat and a freight elevator – at 368 Congress St.. Change came again in 2006, when they moved into their present location at 23 Drydock Ave., an expansive, 5,000-sq.-ft., third-floor aerie in a converted Navy annex, in the same building that houses the Boston Design Center. 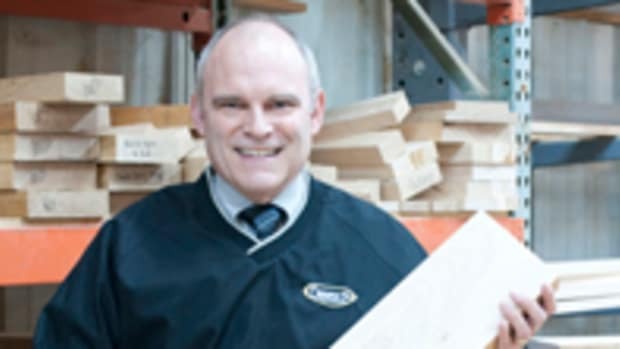 Here seven men and one woman, whose unofficial motto is “All Types of Woodworking Done Here,” design and build an assortment of high-end furniture, cabinetry and other custom woodwork. Whatever the project, there is always a strong component of architectural, historical or design interest. 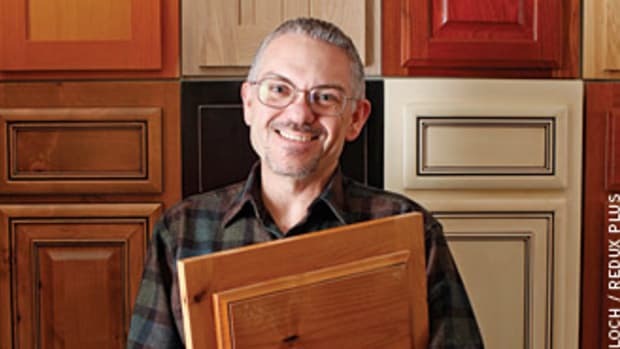 Fort Point Cabinetmakers is not the studio for those seeking “run of the mill” cabinetry. 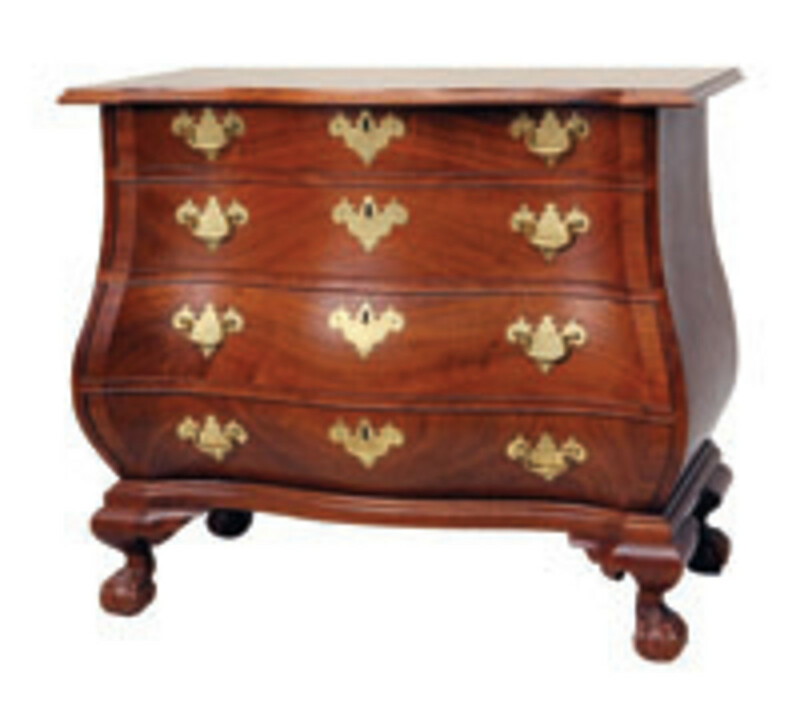 The members’ creations vary widely in style as well, from 18th and 19th century classics to modern studio furniture, though managing partner Richard Oedel does admit that the shop is best known for 18th and 19th century American and European traditional furniture. 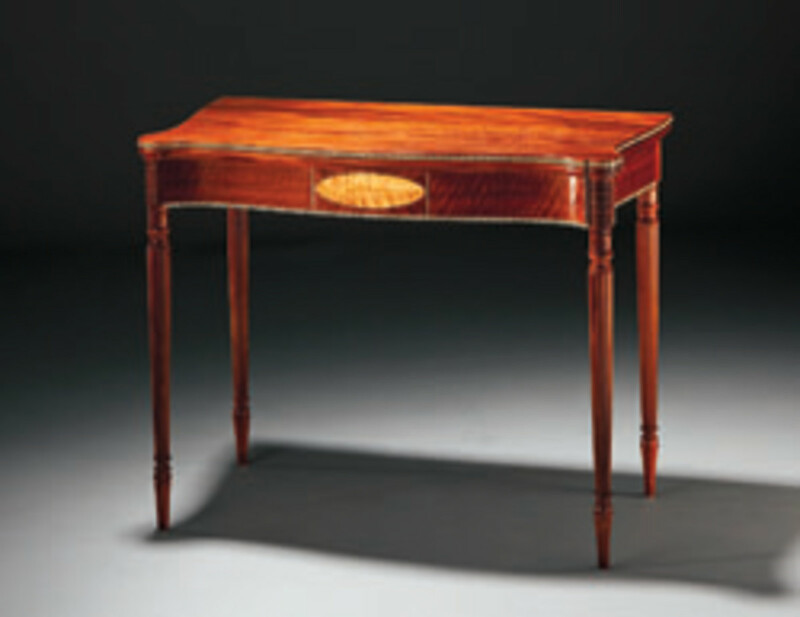 “Virtually all of the members are graduates of North Bennet Street School,” Oedel says, “and a good number of us teach there.” This fact, coupled with Boston’s auspicious history in the profession – some of the finest furniture makers of the 17th and 18th centuries lived and worked in this area – contributes to the studio’s proclivity for traditional leitmotifs. Despite encompassing eight individual makers, studio operations hum along like the many well-oiled machines that populate its spaces. The group is organized as a limited-liability partnership, a managerial change that Oedel introduced when he joined the group in 2006. A former executive (in his first professional iteration, Oedel ran a highly successful, family-owned manufacturing business), the 2004 North Bennet Street graduate quickly realized that Fort Point members needed more formalized governance, both to protect themselves from liability concerns and to appease nervous landlords and insurance carriers. Oedel brought his corporate experience to bear, creating very specific bylaws and operating rules that leveled the playing field for all involved. He also agreed to serve as one of the studio’s two managing partners (maker Dwayne Bailey is the second). “Although Dwayne and I are the managing partners, everyone is a shareholder and we try to do things by consensus,” Oedel notes. “It works out well for everyone.” Indeed, the partnership has proved so successful that the group’s incorporation documents have been made available on WoodWeb (www.woodweb.com) so that other cooperatives can benefit. The cooperative has profited from Oedel’s corporate background in other ways as well. 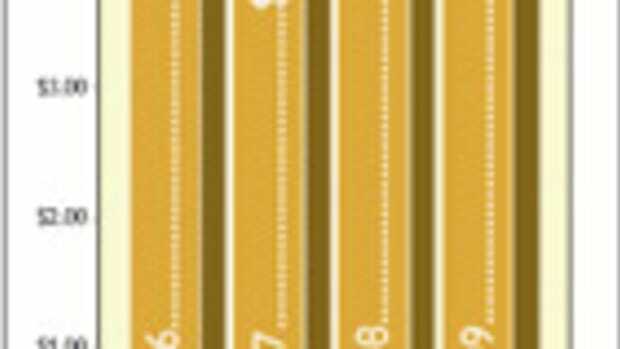 Many years in the manufacturing sector have made the former executive an expert in lean manufacturing, a production practice based on the concept of preserving value with the least amount of work. 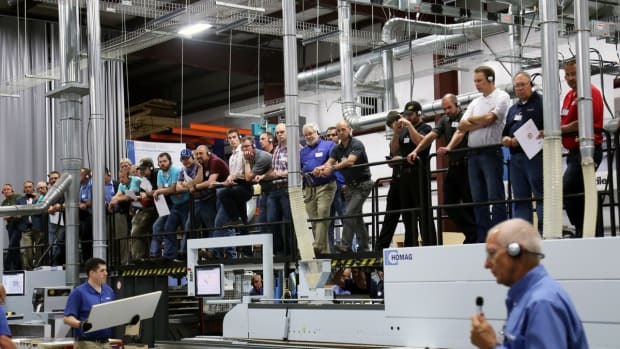 These lean practices, which proved so effective in Oedel’s injection-molded plastics business, have been implemented with equal success at Fort Point Cabinetmakers. And succeed they have. Fort Point’s artisans turn out a steady stream of individual works and unique built-ins, while simultaneously maintaining a steady schedule of commitments teaching, lecturing and exhibiting. Although projects come to the studio from an array of sources, the lion’s share evolves as a result of the studio’s many affiliations with North Bennet Street School. 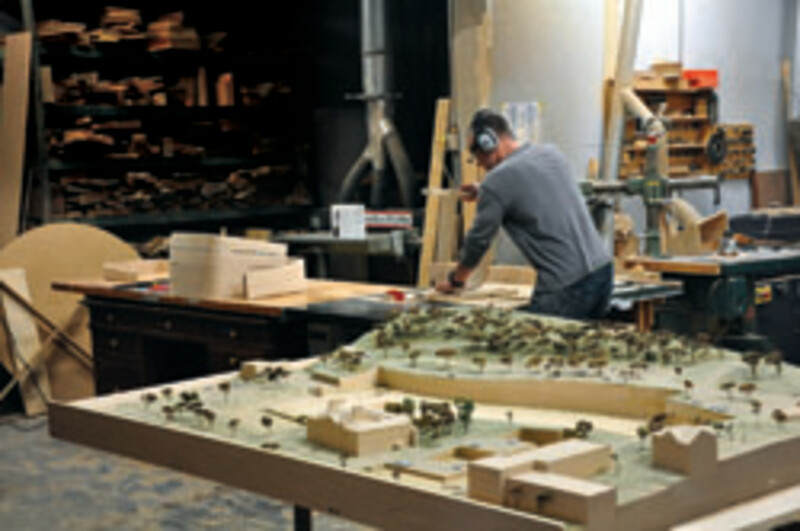 Co-op members are frequently retained to create works for former classmates and colleagues, the school’s trustees and members of the public who are familiar with the institution’s august reputation for training extraordinary artisans. “Technically speaking, graduates of North Bennet Street School are incredibly adept,” Oedel says. “A North Bennet Street grad can build anything a client is looking for.” And, as it turns out, what clients are looking for can vary widely. 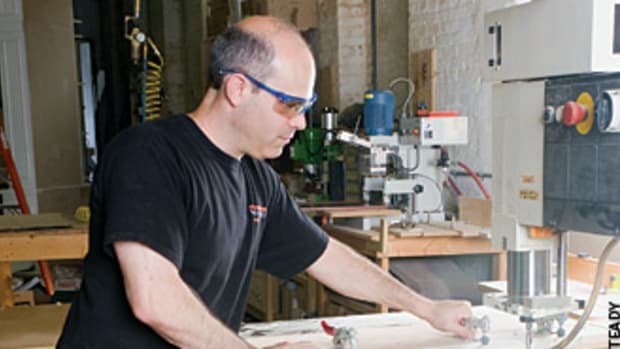 Projects at Fort Point Cabinetmakers encompass a broad spectrum in both size and complexity. 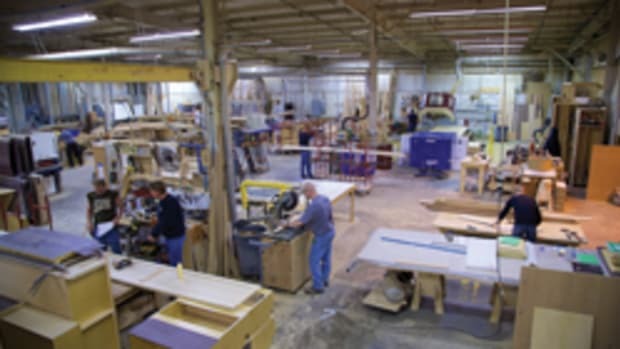 Many are single-person jobs executed by individual makers who are chosen by the client for their particular design aesthetic or reputation, while others are large-scale endeavors that require a concerted effort by a number of the co-op’s members. Fort Point Cabinetmakers typically field such large-scale projects three to four times a year, although some years have yielded as many as a dozen multimember projects, while others have yielded none. Those projects requiring all hands on deck might be extremely complex and production-related, such as a run of 20 chairs, or time-sensitive, like the set of Chinese étagères the group completed, whose short lead time required that the job be split among the members. Whatever the number of artists involved, however, there’s always a single maker who’s the client contact and serves as the liaison throughout the project. 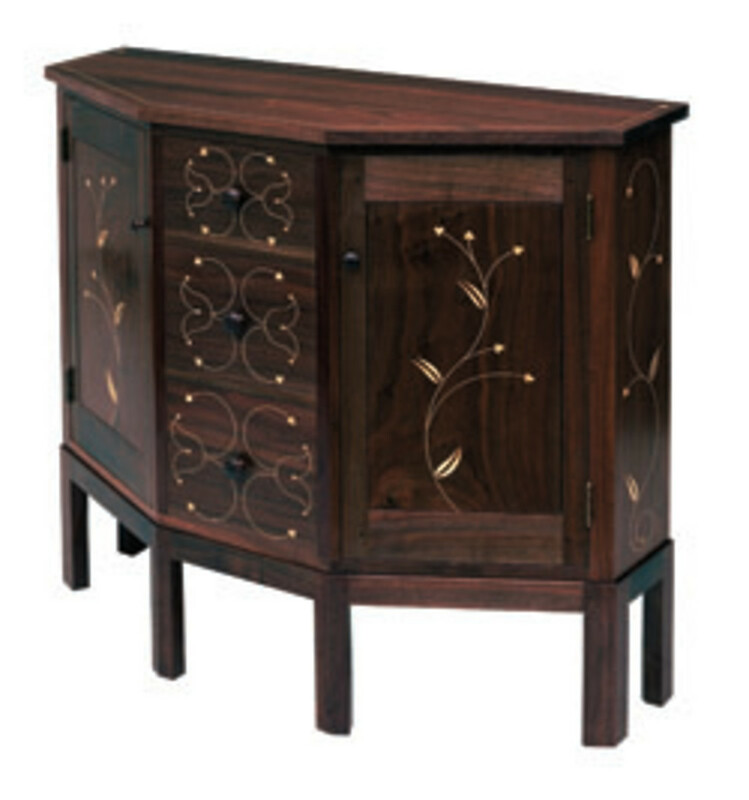 In addition to keeping the art of fine-furniture making alive through the creative output of its members, the studio is also deeply committed to educating the next generation of artisans. All of the members teach and nearly every summer the studio hosts an intern, usually a student from the North Bennet. These apprentices work at Fort Point Cabinetmakers three days a week, typically partnering with one or two co-op members on a large project while also performing smaller, random tasks around the shop. It’s an invaluable experience for the students, Oedel asserts, because they get practical, hands-on experience in so many different aspects of the profession. Oedel and other co-op members share their knowledge with the larger woodworking community in other ways as well. Oedel currently serves as chair of the New Hampshire Furniture Masters and, in 2010 chaired The Furniture Society’s conference at MIT. In addition to active teaching schedules, many co-op members are contributors to an assortment of industry publications. As I gather my things and prepare to depart the Fort Point Cabinetmakers studio, I am struck by the sense of quiet industry that pervades the space. Co-op members Dwayne Bailey and Alex Krutsky chat softly in one area of the shop, while assistant Marty Mackenzie shapes chair backs on a band saw in an adjoining room. An elegant, contemporary rosewood table by Richard Oedel sits near the door, ready to depart for an upcoming exhibition in Portsmouth, N.H. Next to it rests a dining room set, swaddled in blankets and awaiting shipment to a client in Chicago. “Commissions come from all over the place and you never know where your next job may surface,” Oedel says. “But if a client uses us once, they tend to use us again,” he concludes with a smile.